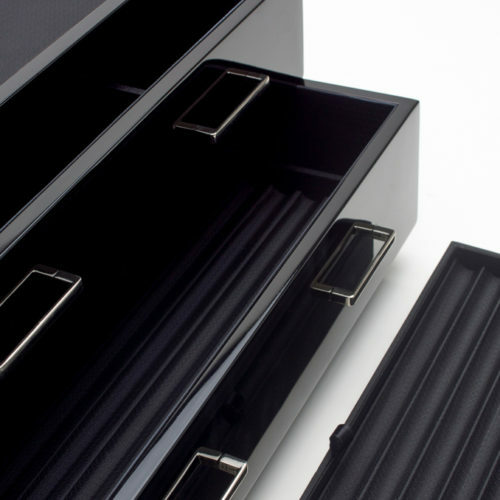 The Meridian watch winders and watch boxes are a revolutionary new approach to automatic timepiece upkeep and accessory storage. 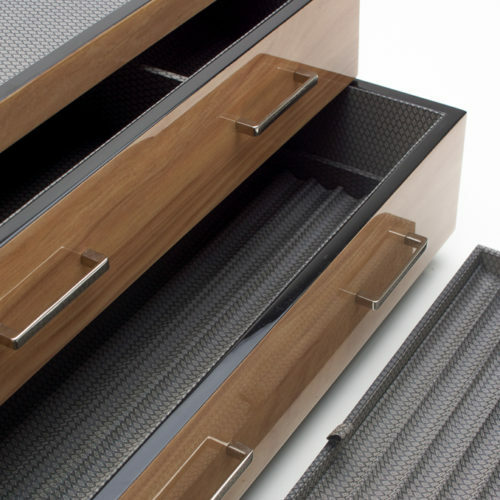 The unique modular stacking ability allows for complete customization and expandability. 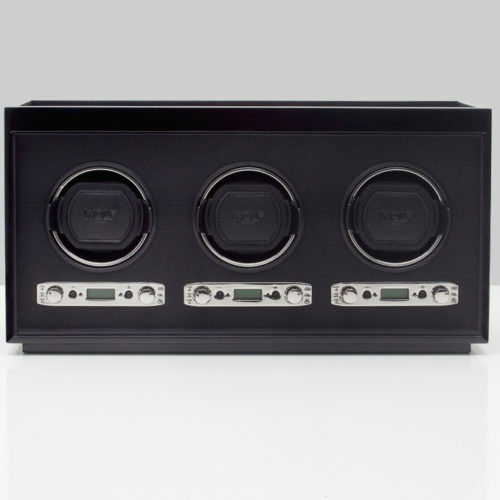 Each winder allows the user control over start delay, and directional settings. 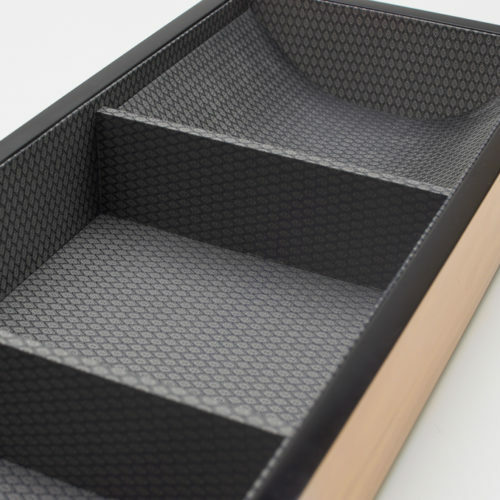 A Meridian handcrafted valet tray, in blonde, incorporates the ability to completely customize your accessory storage through a unique modular system. Includes 3 storage compartments, silver textured silk, high gloss finish and wooden frame. 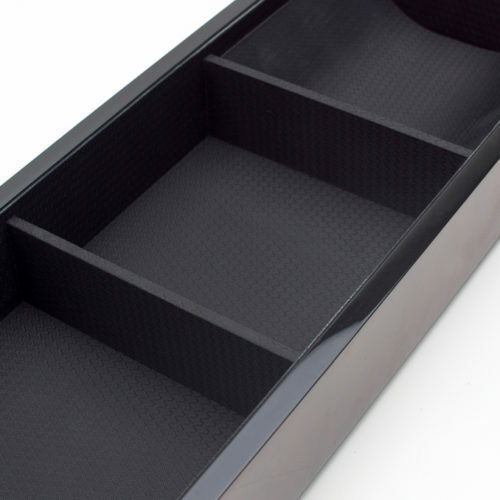 A Meridian handcrafted valet tray, in black, incorporates the ability to completely customize your accessory storage through a unique modular system. 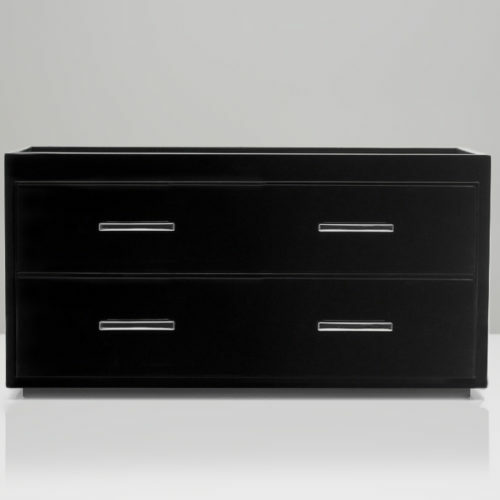 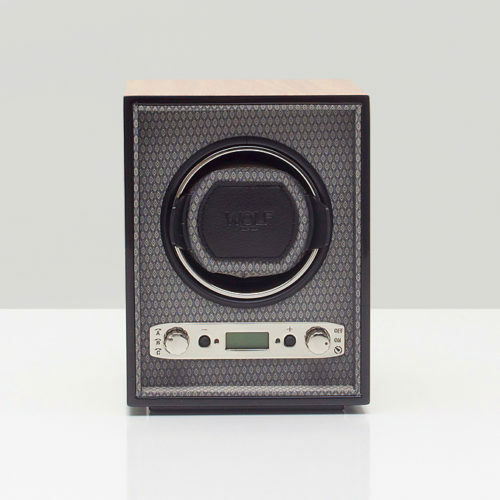 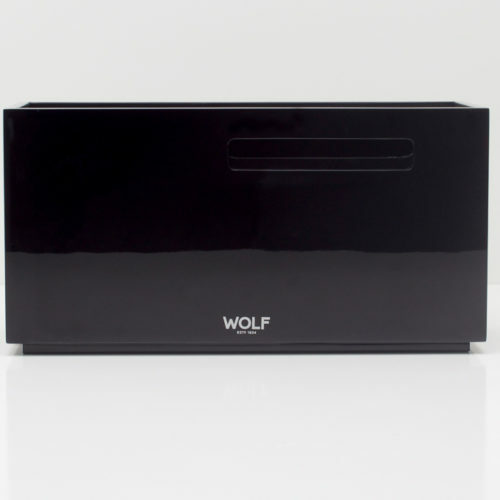 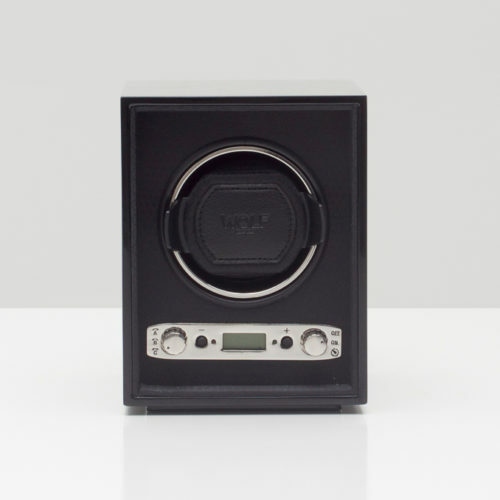 Includes 3 storage compartments, black textured silk, high gloss finish and wooden frame. 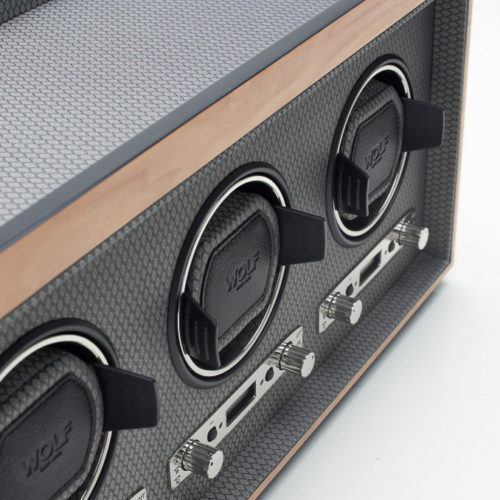 A Meridian handcrafted valet, charging station and pen box, in blonde, incorporates the ability to completely customize your accessory storage through a unique modular system. 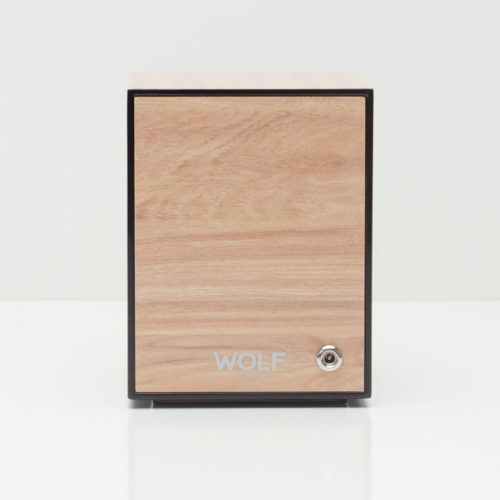 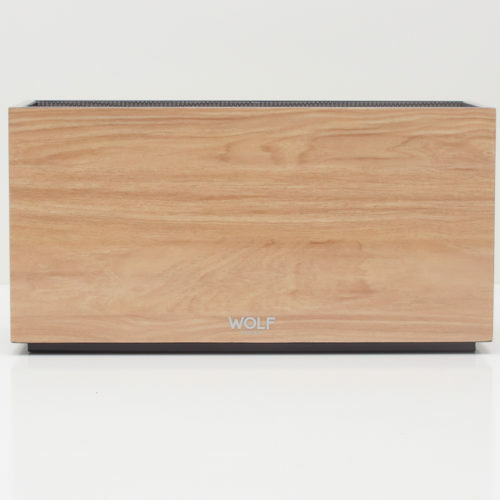 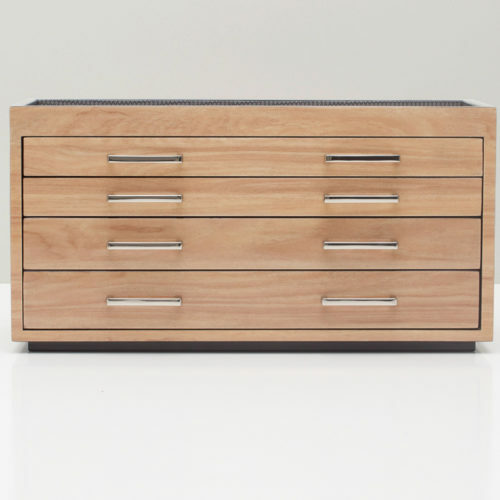 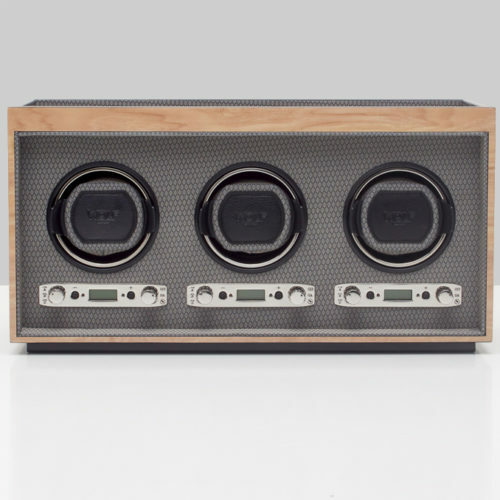 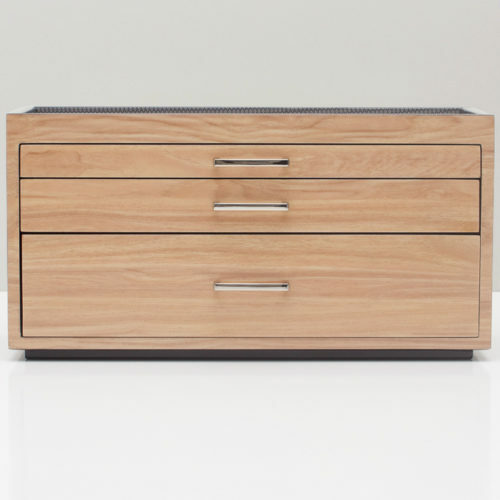 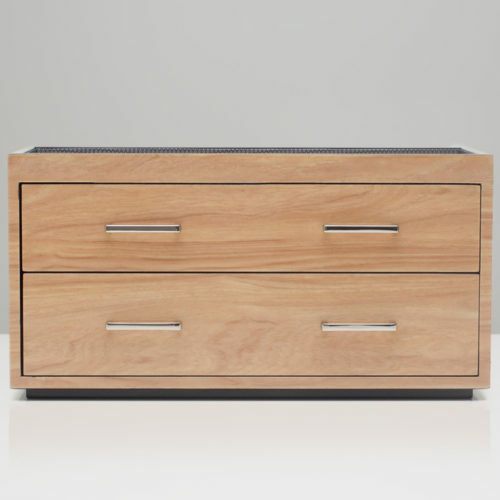 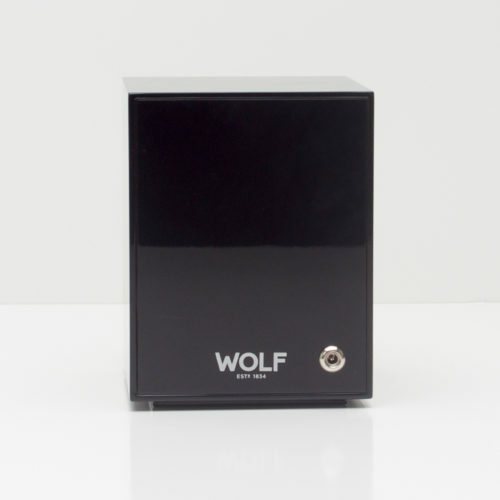 Includes chrome finished hardware, pen storage (up to 48 pens), high gloss finish, wooden frame, charging station (power strip not included) and valet compartment. 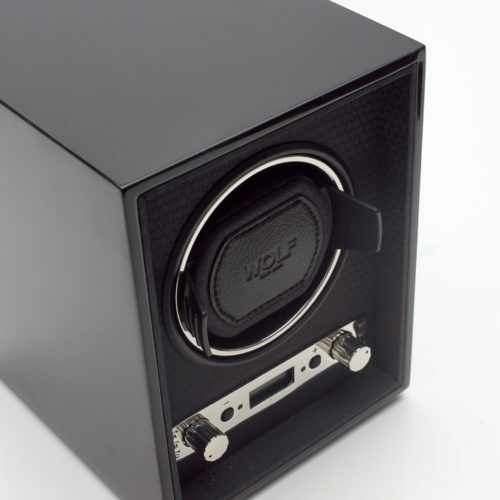 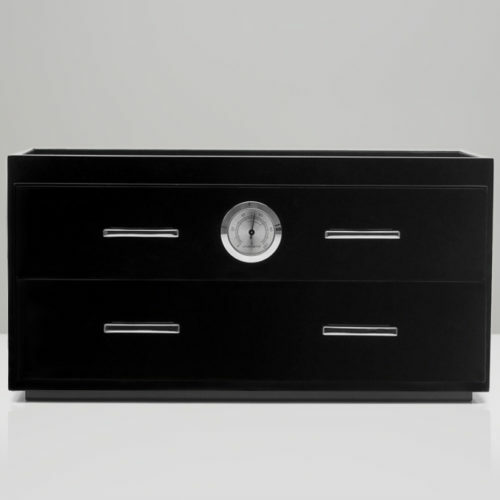 A Meridian handcrafted humidor, in black, incorporates the ability to completely customize your accessory storage through a unique modular system. 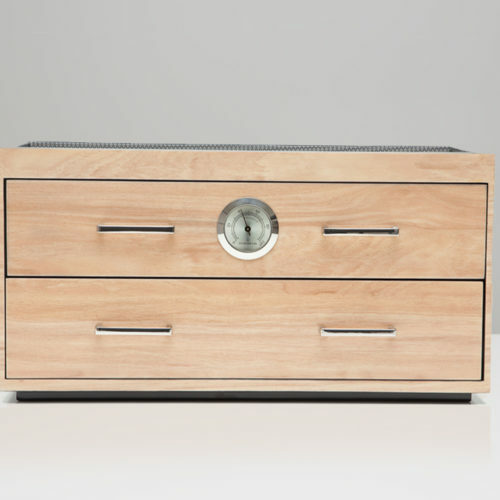 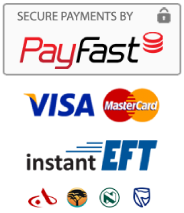 Includes chrome hardware, accessory tray, high gloss finish, wooden frame, hygrometer and 2 humidifiers. 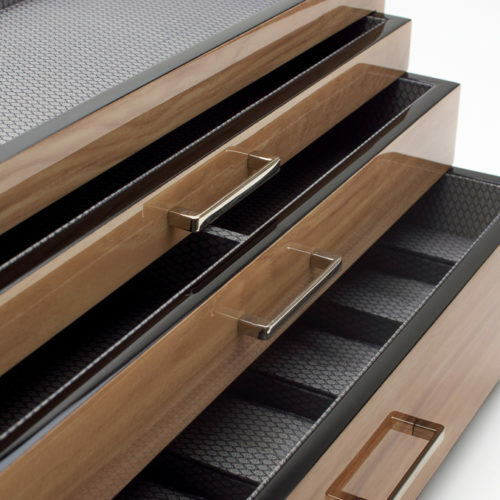 Top drawer holds approximately 24-28 cigars, lower drawer holds approximately 36-40 cigars. 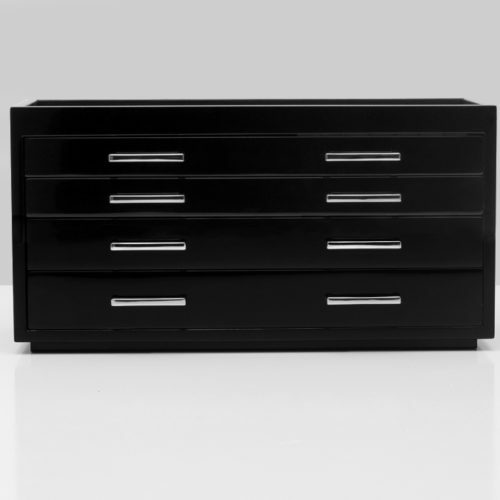 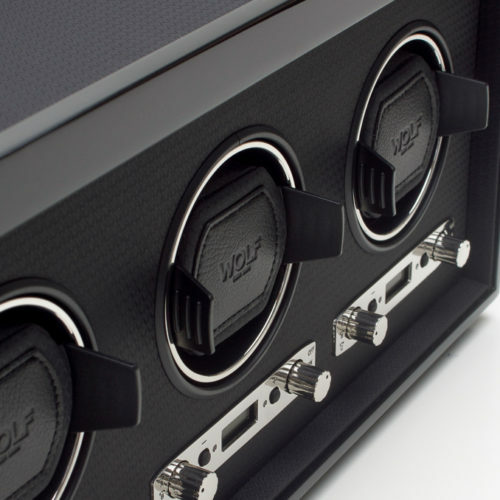 A Meridian handcrafted casino gaming set, in black, incorporates the ability to completely customize your accessory storage through a unique modular system. 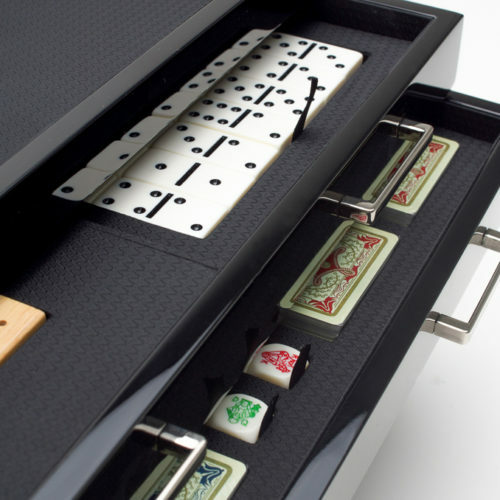 Includes 28 piece domino set, 4 decks of cards, 5 piece poker dice set, 5 piece standard dice set, 2 shaker cups, 1 score pad & pencil, 5 sets of 20 poker chips, chrome finished hardware, high gloss finish and wooden frame. 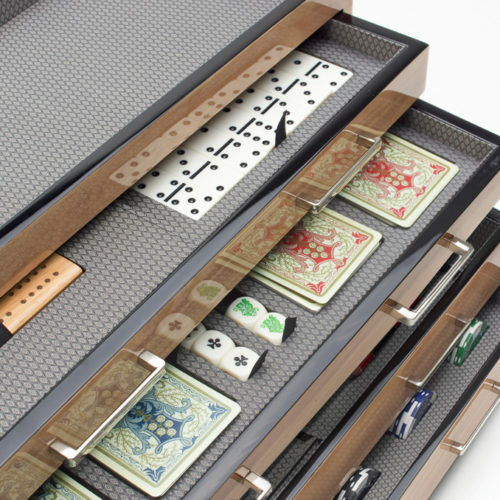 A Meridian handcrafted casino gaming set, in blonde, incorporates the ability to completely customize your accessory storage through a unique modular system. 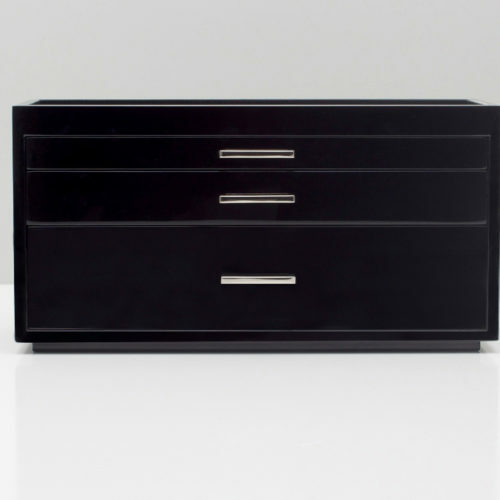 Includes 28 piece domino set, 4 decks of cards, 5 piece poker dice set, 5 piece standard dice set, 2 shaker cups, 1 score pad & pencil, 5 sets of 20 poker chips, chrome finished hardware, high gloss finish and wooden frame. 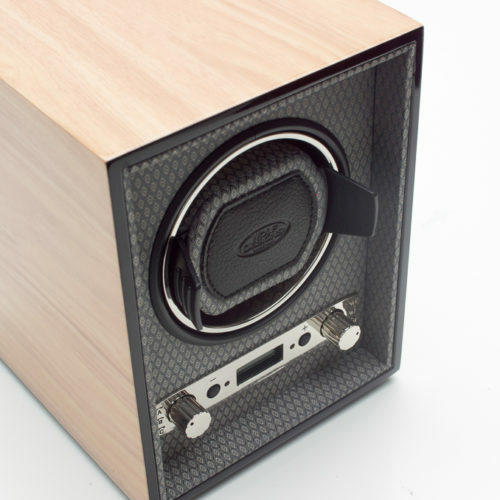 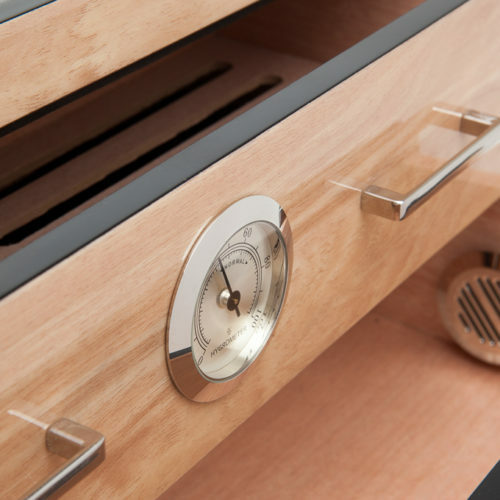 A Meridian handcrafted humidor, in blonde, incorporates the ability to completely customize your accessory storage through a unique modular system. 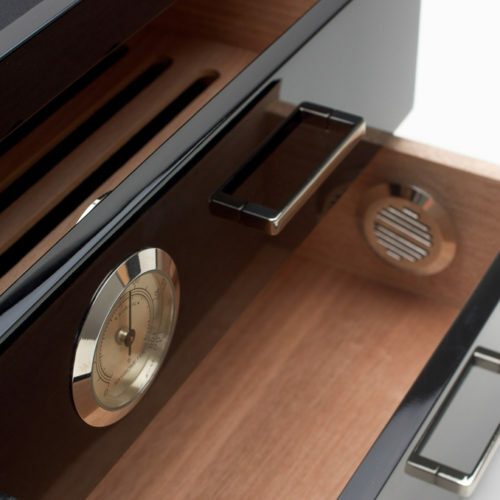 Includes chrome hardware, accessory tray, high gloss finish, wooden frame, hygrometer and 2 humidifiers. 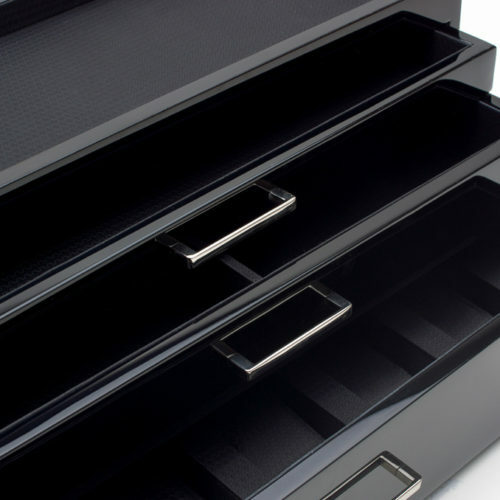 Top drawer holds approximately 24-28 cigars, lower drawer holds approximately 36-40 cigars.